Science Editor (ISSN 1535-5365) is published by the Council of Science Editors Inc, 10200 W 44th Street, Suite 304, Wheat Ridge, CO 80033. 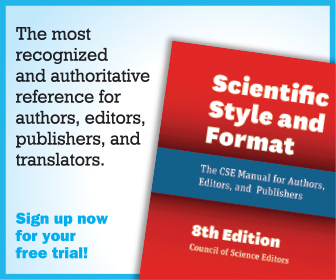 Email: CSE@councilscienceeditors.org. 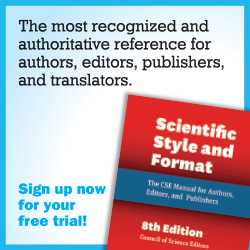 Access to the full text of the most recent issues of Science Editor is available only to CSE members unless otherwise noted. 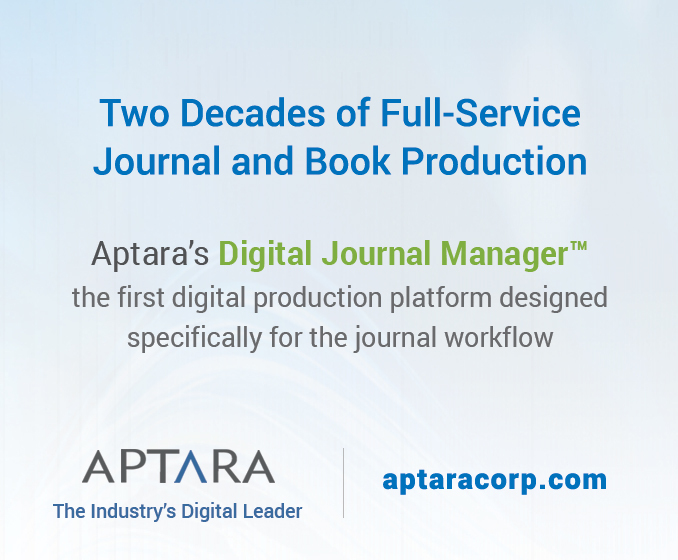 Articles older than 1 year are publicly accessible. 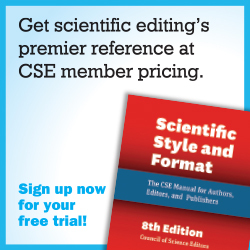 Membership dues for CSE include a yearly subscription to Science Editor. Copies of articles are available at Copyright Clearance Center (www.copyright.com). Opinions expressed by authors contributing to this publication are those of the authors and do not necessarily reflect the opinions or policies of the Council of Science Editors Inc or the Editorial Board of Science Editor. Science Editor will not knowingly accept advertisements that are deceptive, misleading, or expressly incompatible with our mission and goals. Science Editor does not endorse, advocate, or guarantee any offer, viewpoint, or representation made by advertisers in Science Editor. Copyright © 2016 by the Council of Science Editors Inc. Bulk mail postage paid at Lawrence, KS. For information about CSE, including membership and publications, visit our website at www.CouncilScienceEditors.org.